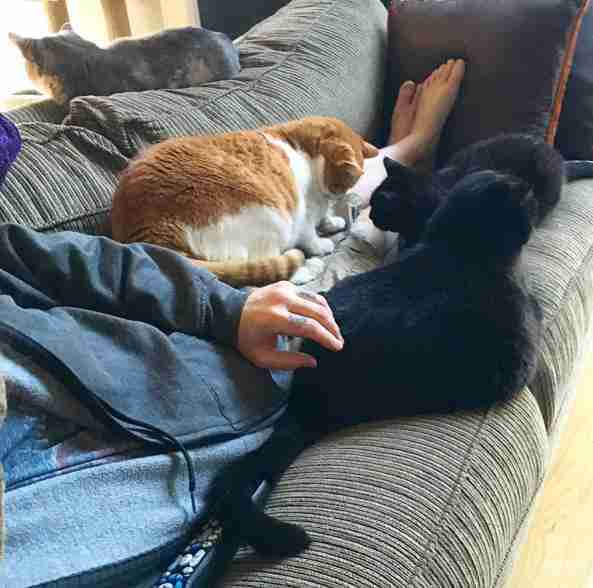 We've all heard of the term "crazy cat lady" ... but have you ever heard of a crazy cat dude? 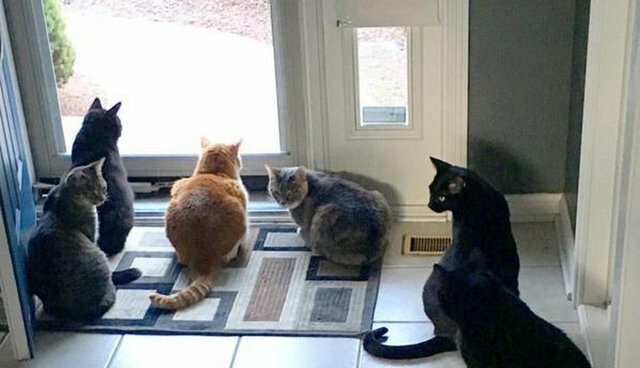 Dave Kaminski runs an Instagram account called Six Cats One Dude, and yes, he really does have six rescue cats. 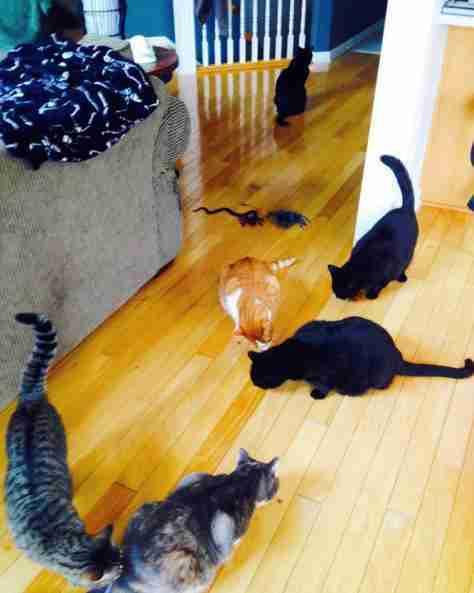 Kaminski didn't always have this many cats, and it certainly wasn't the plan. 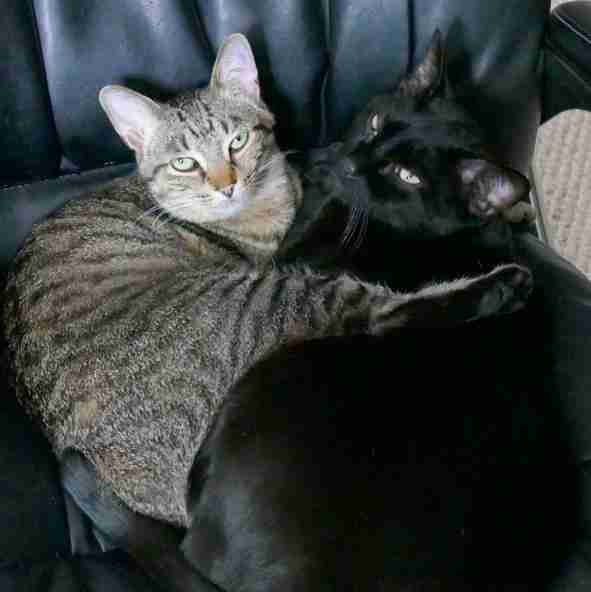 "My golden rule was to always have two cats, no more, no less. In my experience, things always worked best with two," Kaminski told The Dodo. 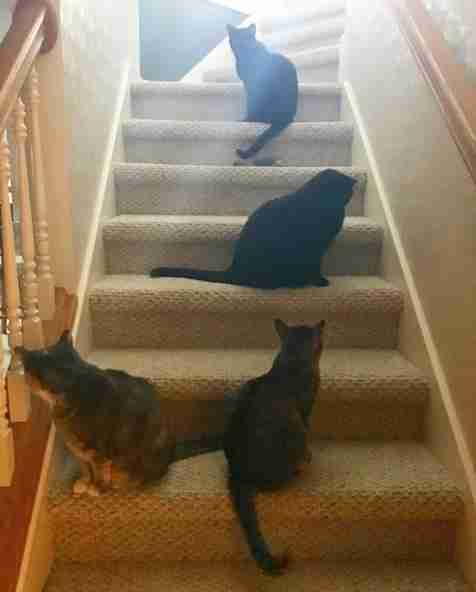 "Having six cats was never a plan, a goal or something I remotely imagined. But then it happened, and almost instantly I learned my golden rule wasn't very golden." 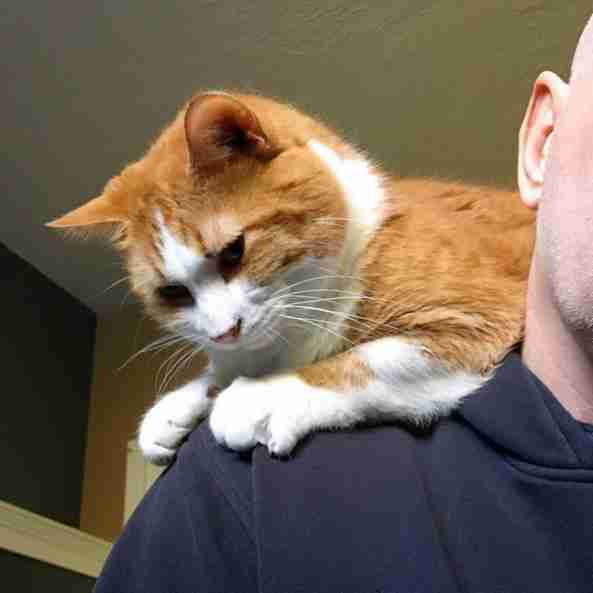 The way Kaminski eventually acquired his feline brood is pretty simple: marriage, and then divorce. "I had two cats. She had three. We got married and added one more. 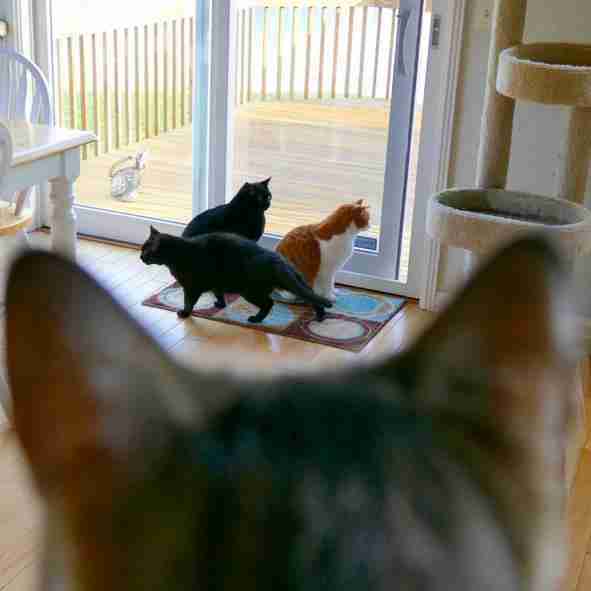 Then we got divorced and I kept all six of the cats," Kaminski said. "I've had two of them for six years and the rest for a little over three." 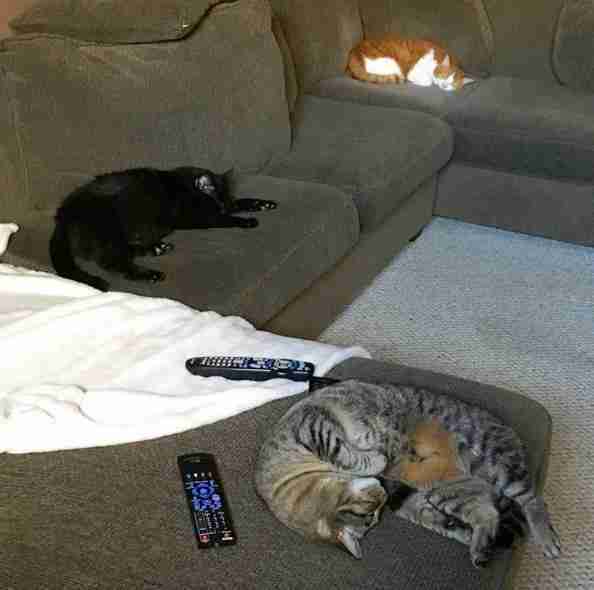 With so many cats, you'd think there might be some conflict but, surprisingly, they're all pretty content with the arrangement. "That's one of the things that always surprises people. 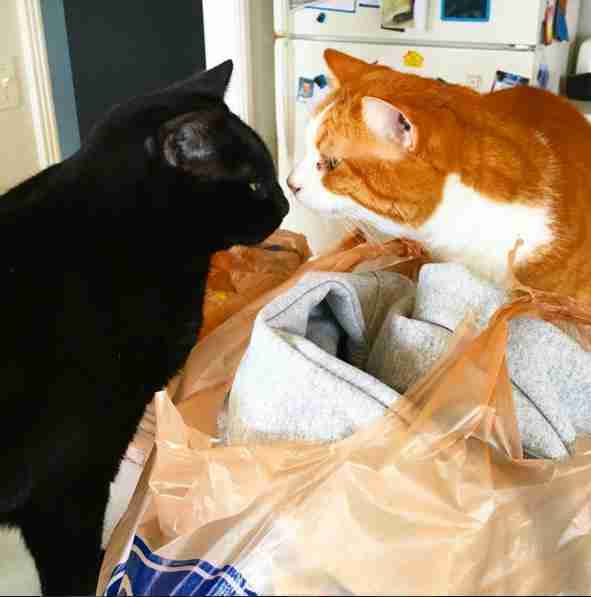 My cats all happily get along," Kaminski said. "Are all of them best friends? No. But any drama between them is very rare." ... there never seems to be any escape from them, either. ... and this crazy cat dude wouldn't have it any other way. 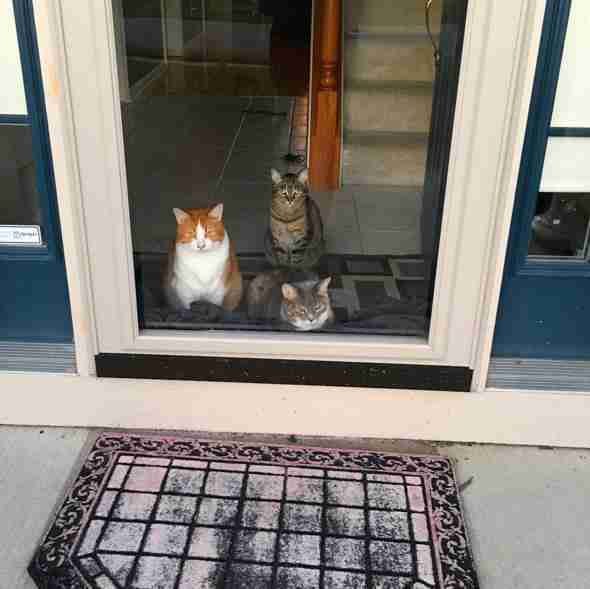 "My favorite part about having cats is ... everything," Kaminski said. You can keep up with this adorable family's adventures by following its Instagram account.